This week, Syazwani Aziz, a student user of Geomagic Studio, posted a question of Geomagic's Facebook page about creating segments in a scanned model. 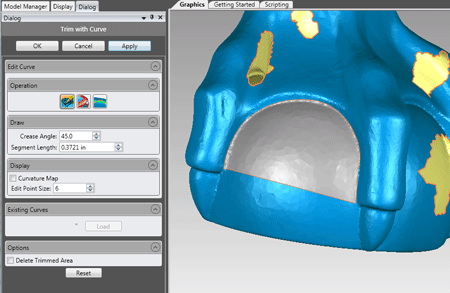 Syazwani's question covered the need to separate a scanned model in Geomagic Studio into segments for crash analysis and was posted on Geomagic's Facebook page. I recognize this task from my own engineering studies and am happy to say that Geomagic Studio provides a pretty neat solution for it - instructions are below. 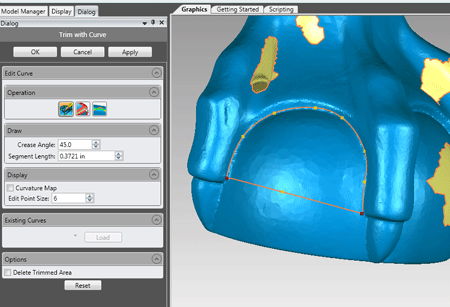 The final polygon mesh should be cut into separate segments. 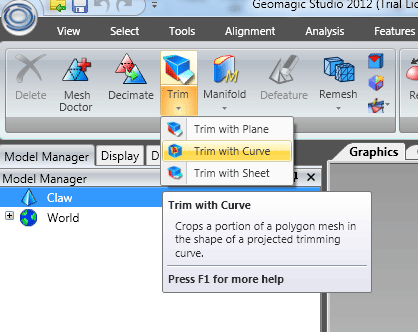 You can use the trim with curve command. Use this to"draw" out the panels and cut that material from the model. When you're done, you'll have a tree with several items. Then rename the objects as you cut. This way you'll have all the panels in separate objects and can deal with them individually. I hope this helps you with your studies! Have fun using Geomagic!